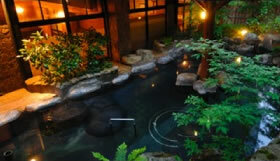 Hotakaso Yamano Hotel is an onsen resort hotel known for its abundant hot springs with at least 4,000 liters of water produced every minute. 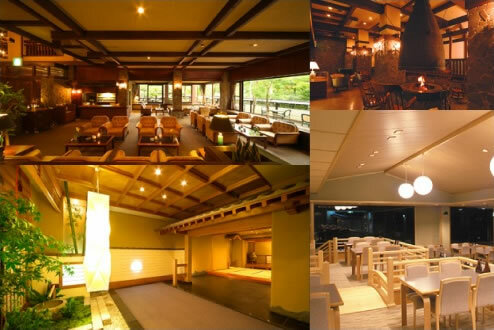 The hotel is in a prime location compared with all the other hotels in Hida Onsen-Go village because is directly faces the Japanese Northern Alps and has views of the famous Yarigatake. Both large public open air baths, and private open air baths surrounded by forests and natural scenery will ease your everyday fatigue. 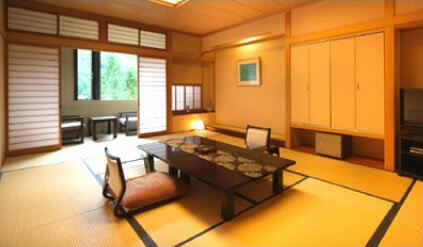 Please use the 'Yumeguri train', the world shortest railway, to travel from our hotel to the large open air baths. 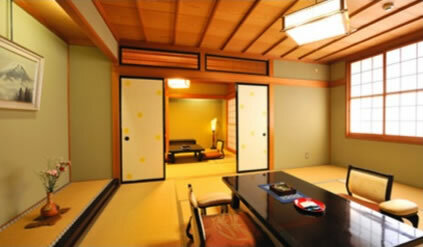 You may also wish to use the 'Hotakaso Yumeguri Shuttle Bus' to enjoy baths at our hotel's sister hotels: "Hotakaso Sangetsu" of Shin-Hotaka Onsen and "Hotakaso Sanganoyu" of Hirayu Onsen. 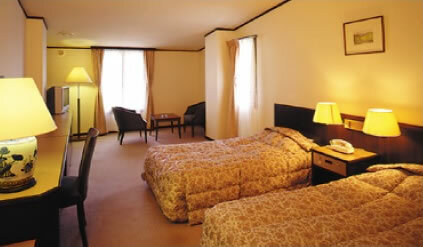 Rooms equipped with chairs are available. Wheel chairs are available for hire. Some areas of the hotel are equipped with handrails. 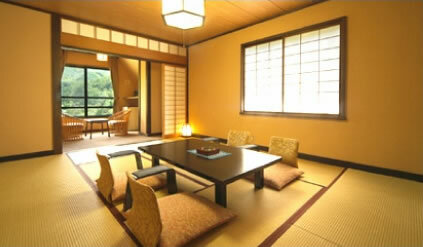 There are relaxing indoor and outdoor baths where you can enjoy natural peaceful scenery. 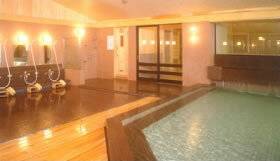 Sankyo yari no yu is one of the largest baths in this area. 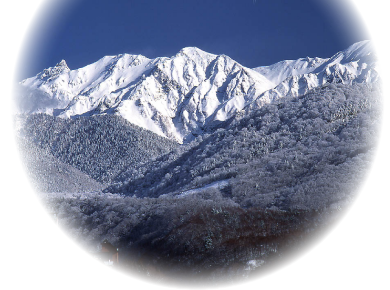 It has grand views of Yarigatake, one of the great mountains of the Japanese North Alps, and the Kamatagawa River, which flows serenely along the side of the bathing areas. 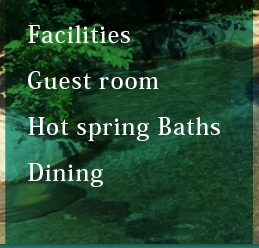 We also have relaxing outdoor baths with natural forest views for males and females separately. 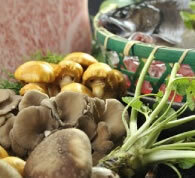 Sulfate spring and sodium sulfate spring are effective for constipation and obesity when drank. Magnesium sulfate spring is also known as "hot spring for stroke" and is effective for blood pressure and arteriosclerosis. 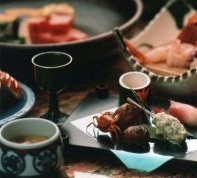 Dinner is a traditional Kaiseki meal. 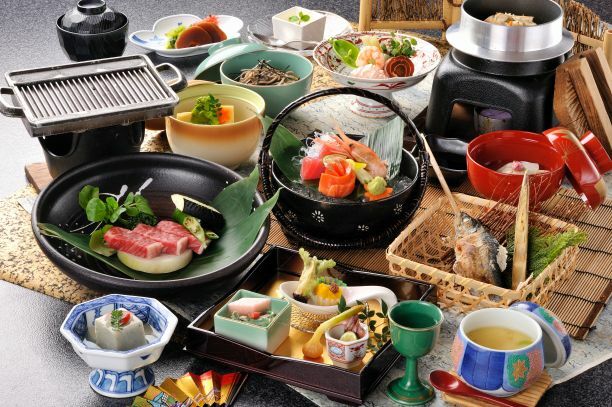 Our traditional Kaiseki meals are masterpieces of the Okuhida cuisine, which are created to fully highlight the great local food from nature’s abundance. Our dishes are made with ingredients from the mountains of Hotaka, the clear streams of the Gamadagawa River, and from the ocean along the Hida "Buri Kaido" (Yellowtail Road).